But there’s another interpretation worth considering. It boils down to this argument: Trump changed American politics and, in so doing, changed American foreign policy. When Trump won the presidency — or, to be more precise, when American voters decided first to nominate and then elect Trump to the presidency — it signaled to the world that American politics could be much more volatile than in past decades and that a wider range of ideologies could come to power. Through his success, Trump made it much more difficult for foreign countries — including traditional allies, from Saudi Arabia to the European Union to Japan and South Korea — to rely on long-run US guarantees. So even if Hillary Clinton had narrowly defeated Trump, and if she had gone to Riyadh with nearly unqualified praise for the Saudis, even her pronouncements would be worth less because an American electorate willing to take a chance on Trump could take a chance on someone equally outrageous in 2020 or 2024 or whenever. Maybe that was inevitable as the world becomes more multipolar. As 1945 and even 1991 recede further into history, it makes sense that future American presidents will reconsider guarantees made in an older, different world. 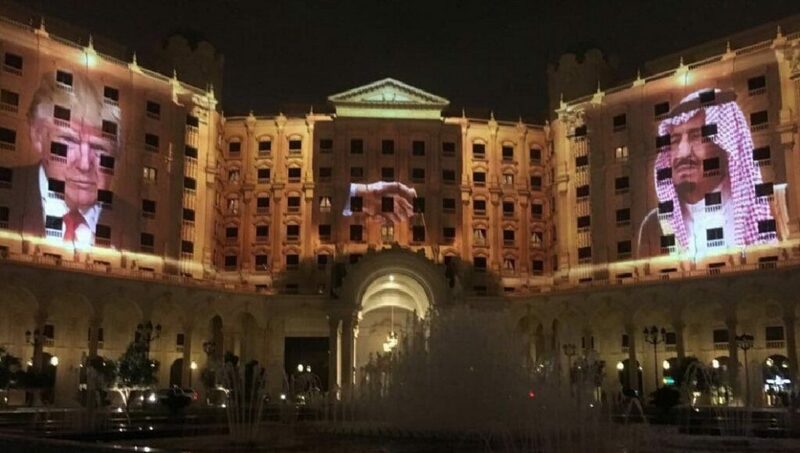 Nevertheless, if you accept that premise, then Trump’s approach only really signals that the United States is cozying up to the Saudis to the extent that Trump holds power. With a new special prosecutor, an ongoing FBI investigation and (still premature) talk of impeachment in Congress, that might not even be four years. It’s also worth remembering that Trump himself has a habit of reversing himself at breakneck speed — one day, NATO is obsolete; the next day, NATO is not obsolete. If Trump has a transactional reason to play nice with Tehran, at Riyadh’s expense, of course he will do so in a heartbeat. Look at how Trump’s bellicose approach to China — on trade, on currency manipulation, etc. — has changed since his election. But for what it’s worth, in the context that Trump’s election makes it more difficult for an American president to make credible, long-term foreign policy commitments, Trump’s glowing alliance with the Saudis makes sense as a kind of counterbalance to the Obama administration’s outreach to Iran. 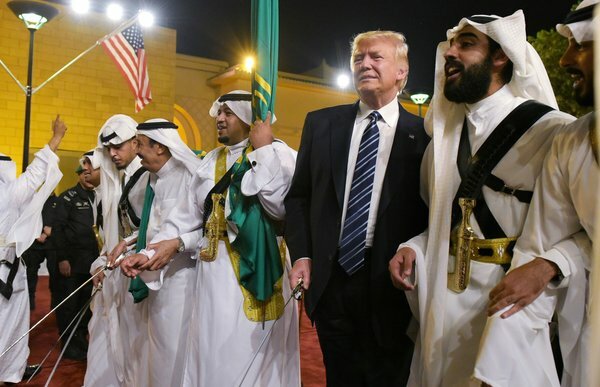 If the chief security goal of the United States is to prevent jihadist attacks and marginalize chiefly Sunni extremist groups like al-Qaeda and ISIS, it makes sense for the Trump administration to soothe the somewhat bruised Saudi feelings, given that Saudi Arabia today is arguably the most important player in the Sunni world, even more so than Egypt. In a world where a Democratic president or even a future Republican president (or even Trump himself!) could revert back to the Obama view of the Middle East, and in a world where Hassan Rowhani’s reelection last weekend makes it difficult for the Trump administration to dismantle the multilateral nuclear deal with Tehran, it is smart realpolitik to work for greater cooperation with Riyadh, because Riyadh arguably has much more power to address the threat of Sunni extremism. Consider the enthusiasm with which crown prince Muhammad bin Nayef, now interior minister (though sidelined under Salman’s Crown Prince and possibly in ill health) deployed both a (very menacing) stick and (very generous) carrot approach to extremism after the 2001 terrorist attacks. It made Muhammad, to this day — and for good reason — one of the favorite Saudi princes among American policymakers. In a world where the very plausibility of Trump’s presidency undermines the stability of long-term American commitments, even Trump’s commitments are less ‘sticky’ than his predecessors. In that sense, some well-timed attention showered on the Saudis is perhaps the best strategic move Trump could make.